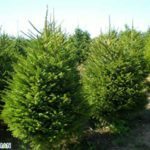 Brinkman Nordmann is a company that specializes in the cultivation, selling and transportation of all kinds of Christmas trees. By means of our broad assortment we provide the opportunity to choose a tree, which satisfies all of your wishes. 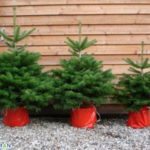 The range includes Flora Danica Nordmann, Picea Veluwe, container grown Christmas trees, cut foliage and other accessories. 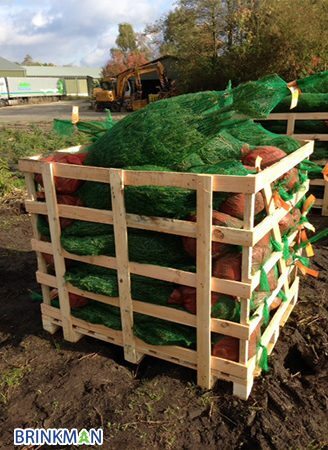 Supplying a Christmas tree requires craftsmanship and deserves excellent advice and service. 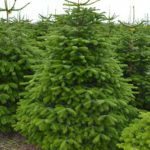 Therefore, the Brinkman Nordmann Christmas trees are only sold to the professional market, which includes wholesalers, garden centres and other registered retailers. This ensures that the reselling of the tree is done with the same advice and care after our delivery, to realise the quality we stand for. 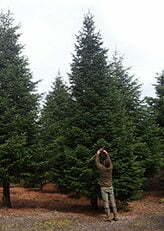 Good collaboration with our tree growers, regular inspections and craftsmanship result in a Christmas tree of optimal quality. Under the supervision of Brinkman Nordmann all trees are selected with care and labelled accordingly. In this way we can provide the same high quality Christmas tree each year. Whether your tree is a Nordmann or a different kind, there is only one guarantee: the Brinkman Nordmann quality. 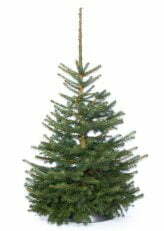 A Flora Danica Nordmann is a full high quality Christmas tree, has sturdy needles of a deep green colour that give off a lovely smell and do not fall quickly. This concept includes the three most popular varieties of Christmas trees; the Picea Abies, the Picea Pungens Glauca and the Picea Omorica. 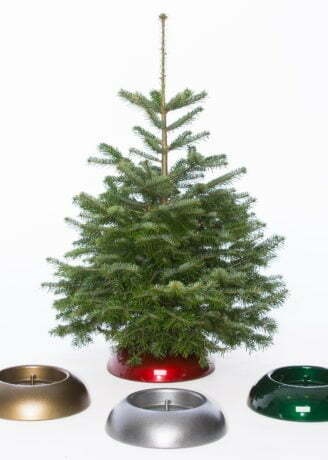 Container grown Christmas trees gain popularity each year. 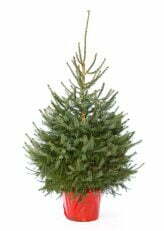 container grown trees retain needles longer and can be planted into the garden after Christmas. 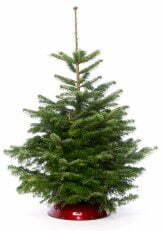 Brinkman Nordmann offers a broad range of large sized Christmas trees. 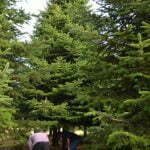 Available in Picea Abies Veluwe and Flora Danica Nordmann in sizes from 3 to 25 meters. 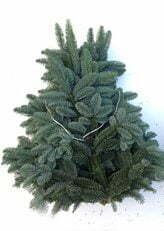 Nobilis cut foliage is freshly cut, these high quality Christmas tree branches are very suitable for decoration: Christmas bouquets, wreaths, funeral bouquets. Brinkman Nordmann Christmas Tree Packing Shaft is the easy and convenient solution to a perfectly packed Christmas tree. With the Easy Fix Christmas tree standard the consumer gets both a quality and perfect family Christmas tree, the tree stands up straight and stable. The Treepack pallet box was designed to pack Christmas trees in the most efficient way and to be loaded by a fork-lift truck. Available in different sizes.